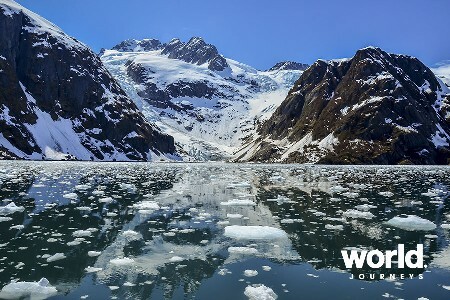 Experience a memorable escorted journey from Fairbanks into Alaska's spectacular mountains and enjoy the best opportunities for viewing wildlife. 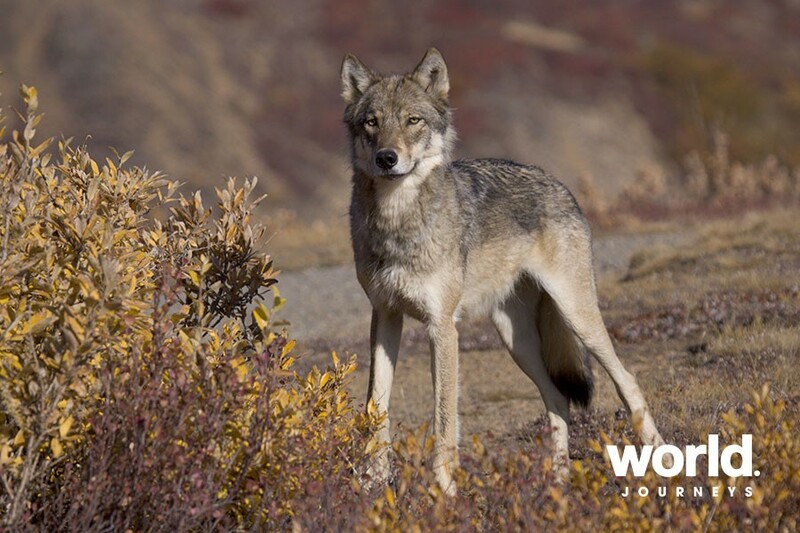 Venture into Denali National Park in search of moose, caribou, bear and Dall sheep, and perhaps catch a glimpse of Mt. Denali's snowcapped majesty. 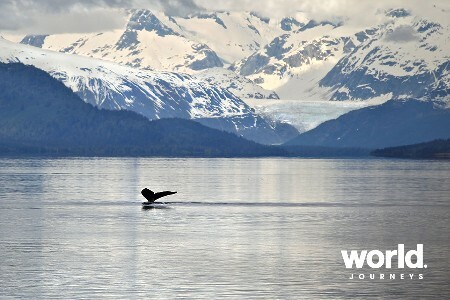 Finish your journey in historic Anchorage. Day 1: Fairbanks Upon arrival into Fairbanks, Alaska's Golden Heart City. Transfer via hotel courtesy shuttle to accommodation. Day 3: Fairbanks > Denali National Park Enjoy breakfast at your hotel. 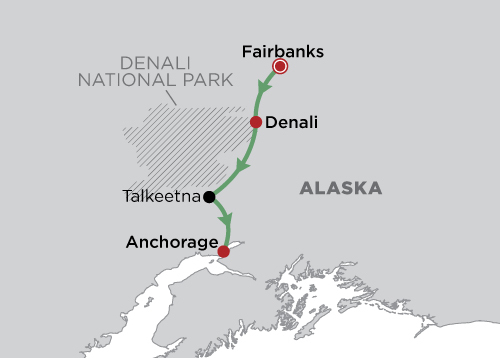 Travel by motorcoach south to Denali National Park. Enjoy an afternoon of exploring this pristine area at your leisure by either participating in a complimentary park service activity or optional tour (Not included). 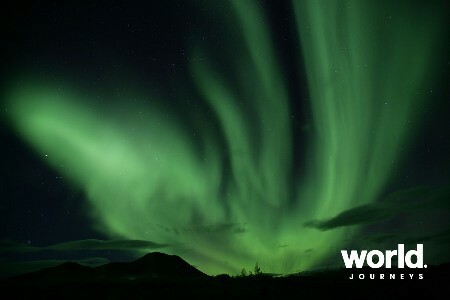 There are many to choose from including mild or wild river rafting, flight seeing, a jet boat safari on the Nenana River or a visit to an Iditarod champions award winning dog kennel. Day 4: Denali National Park Enjoy breakfast at your hotel. 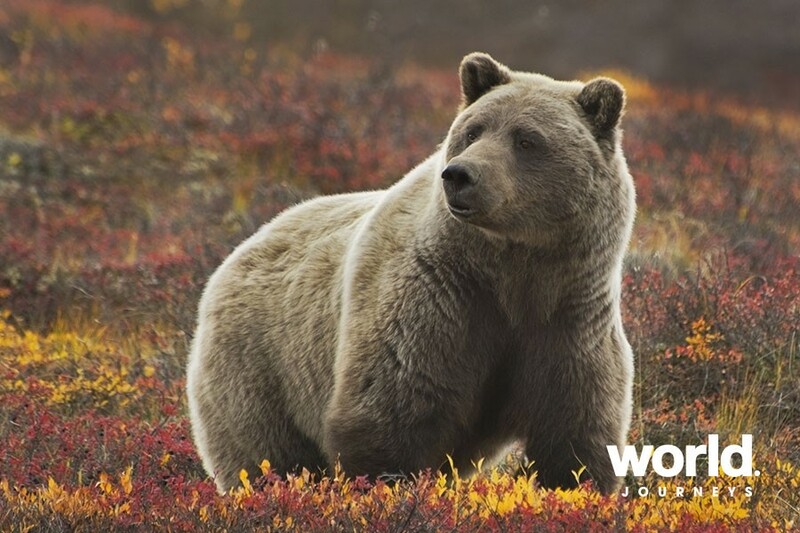 Today travel deep into Denali National Park on the Tundra Wilderness Tour and search the vast wilderness for bear, moose, caribou, and Dall sheep. This six to eight hour journey is narrated allowing for insight into the animals, flora and fauna of this spectacular region including a snack on the bus. Early May and September tours are shortened due to road conditions. This evening experience Alaska's most unique 'Cabin Nite Dinner Theatre.' Join our heroine Fannie Quigley and an unforgettable cast of characters in this true-to-life Gold Rush tale of adventure in early 1900's Alaska. It's a great mix of colorful storytelling, spirited music and humor, brought to life by talented performers. 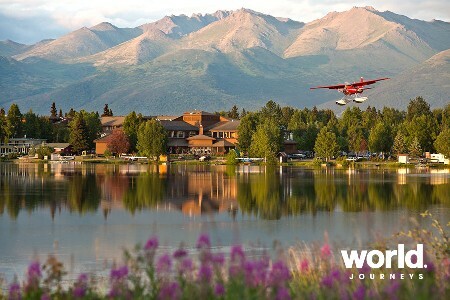 Day 5: Denali National Park > Anchorage Enjoy breakfast at your hotel. This morning travel by motor coach to the community of Talkeetna. Watch for a glimpse of the majestic Mt. Denali or black bear along the banks of the Susitna River. Enjoy time on your ow to explore this quaint Alaskan town. 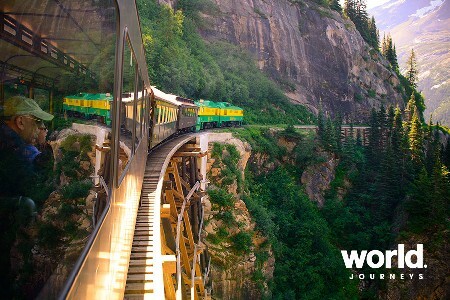 This afternoon your journey continues south to Anchorage by rail in Deluxe Dome Rail cars. Dinner is included on board the train. Day 6: Anchorage Enjoy breakfast at your hotel. This morning enjoy a brief city tour of Anchorage, which includes the historic downtown district. 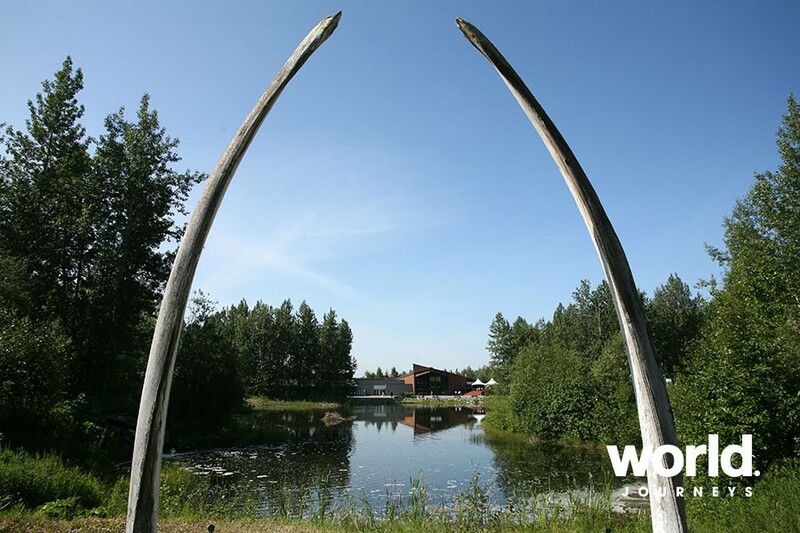 Included visit to the Alaska Native Heritage Center, a gathering place that celebrates, perpetuates and shares Alaska Native cultures. Tonight, share stories of your Alaskan Adventure with your traveling companions at a closing night dinner. Day 7: Depart Anchorage Enjoy breakfast at your hotel. Your adventure comes to an end with a hotel courtesy shuttle transfer to the airport.